So it was too much to write so I made a video and posted it on my YouTube channel. Check it out and let me know your thoughts. Maybe I’m crazy. Well then again I know I am crazy, but I don’t think I’m too off base on my feelings on this one. Click the link below to go to my channel to view. Ps don’t watch with children near by. I dropped a few curse words (not many but a few) curse words are just punctuation marks in my language. No F bombs though. Surprisingly…. My favorite day of the month is when my Ipsy bag arrives! I have had a subscription since January and get super excited in anticipation each month while I wait for it to arrive. I even try not to watch any YouTube videos or read any blog posts that may spoil it for me because I love to be surprised when I get my bag in not knowing what might be in there for the month.This month was the best month yet, I’d have to say. 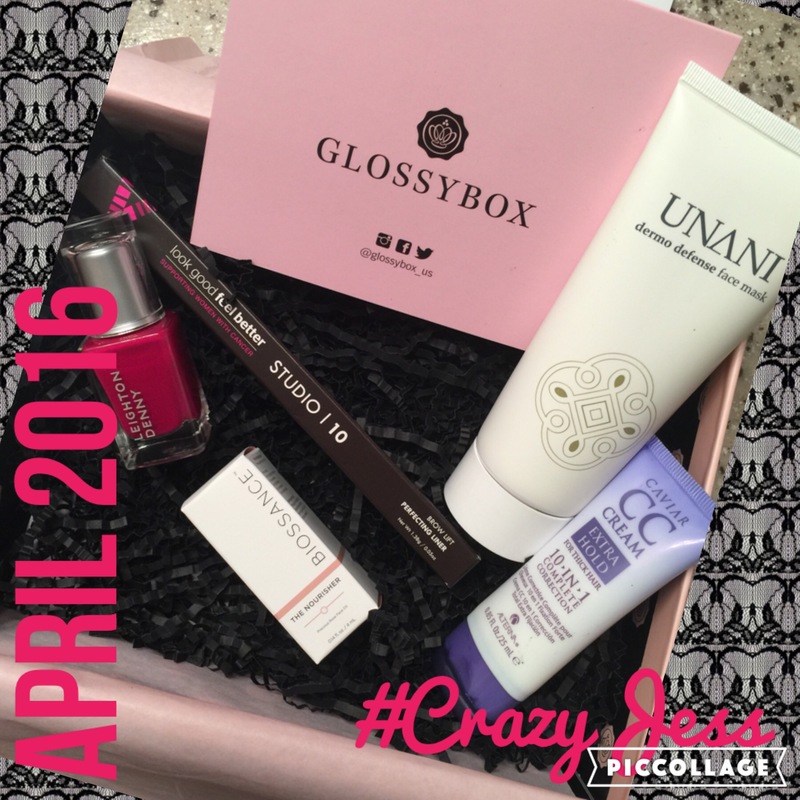 Look at this beautiful array of products for this month and the bag is super cute too! That’s $56 worth of products and it only cost $10! So…what do I think of what I got?.. I am IN LOVE with this purple nail polish. 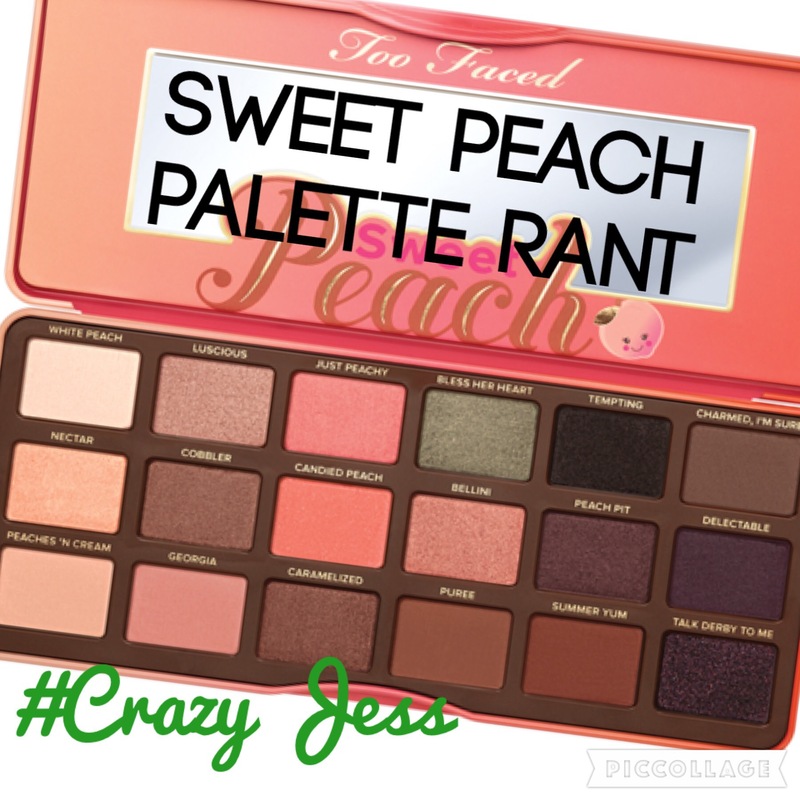 It looks amazing on and is the perfect spring time color. It is also a great consistency, dries very fast and goes on smoothly. I’ve never tried the Tarte Wonder LipSurgence Lip Creme before but I love all things Tarte so I’m sure it will be awesome. The color is perfect as well as I love dark pinks and reds. Although the highlight trio looks awesome, I’ve already got liquid and powder highlighters I use and love so I am not sure if I will use this or not but I’ll give it a try maybe. Lastly and most importantly, what really made this months bag so special and made me so excited was because of the makeup brush I received. Anytime I receive a makeup brush in one of my subscription bags or boxes I am always pleased because they are super expensive (for good ones anyway). That right there makes the minimal cost of the box super worth it in my opinion and I’m slowly but surely building up my makeup brush collection with nice quality brushes and getting rid of the cheap junk I’ve had for years. So I’d say Ipsy did well this month. My favorite so far (however I’ve only received Jan, Feb, Mar, & Apr 2016 bags to date) I’m super happy with the goodies in my bag this month and will continue my subscription for the time being. 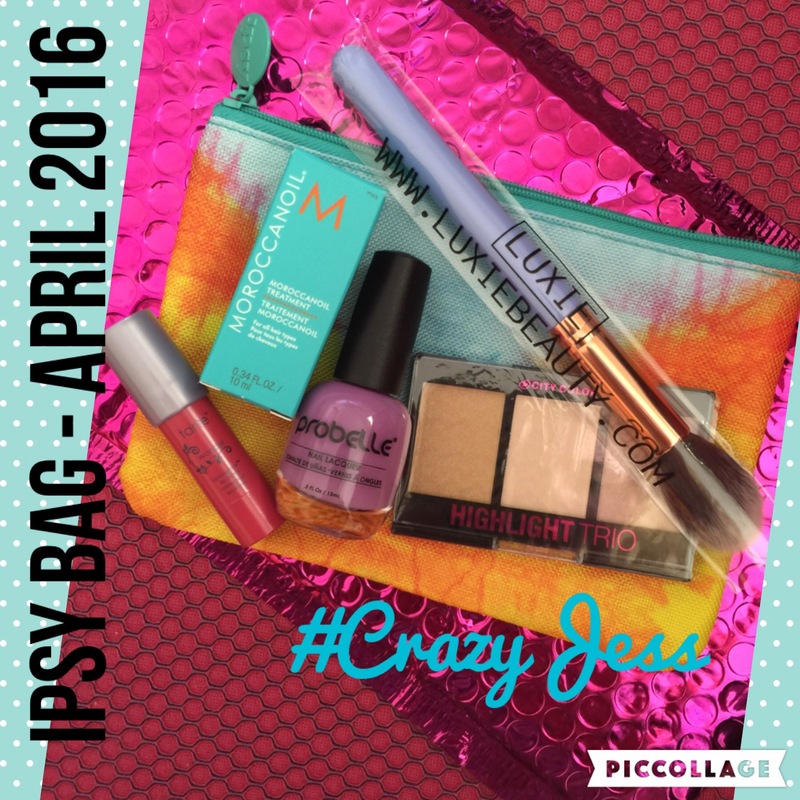 So what did you think of the April Ipsy Bag? Were you happy with what you received? If you aren’t an Ipsy subscriber have you ever been? What made you cancel? You won’t regret it. Only $10 a month (includes shipping) and you get $50+ value of products in each bag. Makes trying new and/or more expensive brands not hurt your bank account so much since you can get delux mini sizes and sometimes full sizes in your bag for only $10! After all the hype I finally scored a Target Beauty Box. Every single time I have tried to order one they have been out of stock. Apparently they don’t have a lot available and they are first come first serve. I somehow managed to get my order in this month just in time. It cost maybe $7 and shipping is free. and I love that you don’t have to sign up for a auto renewal membership with their beauty boxes which makes it even more awesome. 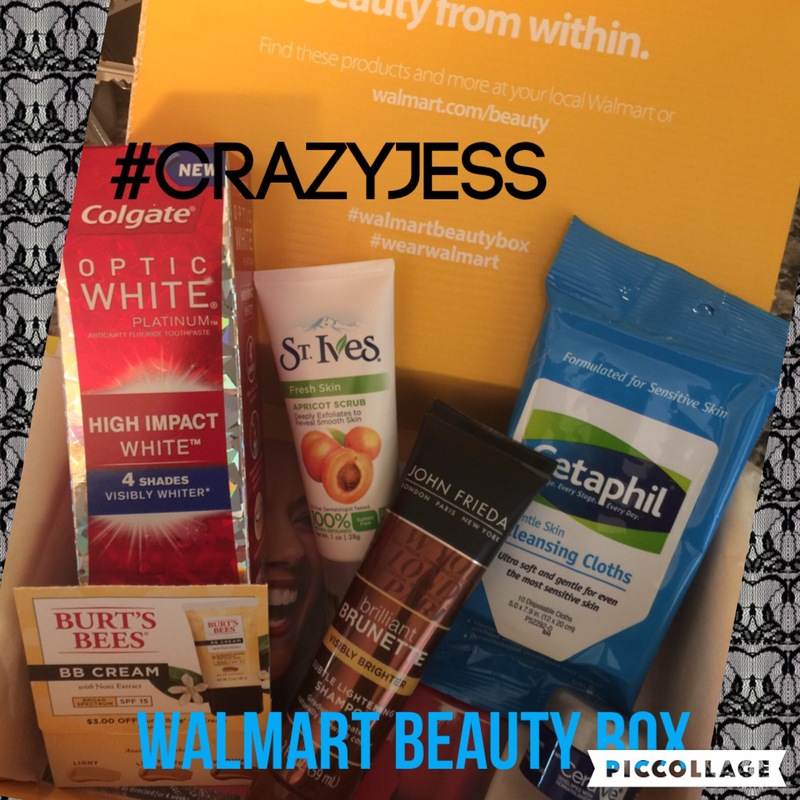 This was my very first time getting one so I wasn’t sure what to expect and I didn’t want to be let down like I was with the Wal-Mart Beauty box. Not too shabby. I can use the sunscreen when we go to the beach in a couple weeks. I LOVE all of the simple brand products so the wipes will be put to good use. The Covergirl lipstick is exciting because I love Covergirl lipstick (drugstore brand favorite anyway). Cons: I loathe the way that body butter lotion smells. I don’t use hairspray too often so I’m not sure I’ll use the Panteen. Pros: love the simple, Covergirl, sunscreen and all the coupons that came in the box. Nice quality packaging and it arrived quickly after order was placed. Excited to try to face mask as well. My thoughts after finally receiving one is that you get way more than you pay for it. The selection and quality of products is pretty good and I think I may actually order a Target Beauty Box again in the future. 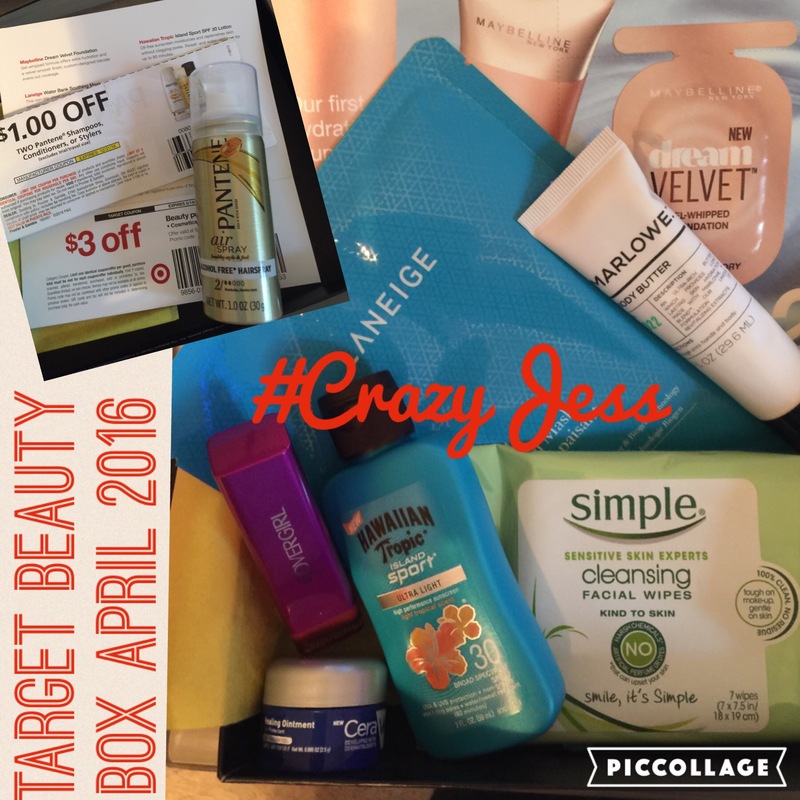 Have you tried the Target Beauty Box before? What did you think? Was it worth the hype? Did you feel it was worth the money?